Bryant Clark Law, PLLC is dedicated to representing people who have suffered work-related injuries on the job. We specialize in all types of work-related accidents. People are usually injured on the job due to circumstances that are beyond their control. 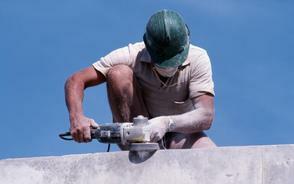 The laws of Mississippi have provisions in place to assist workers who have been injured on the job. This includes compensation for lost wages and medical care. It is important to hire an experienced attorney to represent you in matters involving work-related accidents. At Bryant Clark Law, PLLC we understand that times like these can be very difficult for the entire family. We have a highly experienced staff to assist you in getting the medical attention you need and the compensation that you are entitled to under the law. An injury is a life changing event. You pay no fees or cost if no recovery is made. We offer in-home or hospital consultation if you are not able to come to our office. If you or a loved one has been injured on the job and have questions about your legal rights, we are here to assist you. WERE YOU IN THE COURSE & SCOPE OF EMPLOYMENT? WERE YOU RUNNING AN ERRAND? While you may be eligible to claim benefits through workers' compensation, the unfortunate fact is that many workers' comp claims are unfairly reduced, delayed or even denied. For this reason, it is in your best interests to hire lawyer before taking any further action on your claim, to assist you with preparing the paperwork and documentation, to expedite the claim process and to help you resolve any complications that may arise. Come to Bryant Clark Law, PLLC, where we can help you pursue the full benefits to which you are entitled and with a minimum of delay.